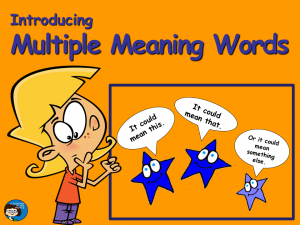 Why do we have so many words that mean the same thing? Because they don’t! Most “synonyms” actually have slightly different meanings, and that’s where we get into interesting vocabulary topics like connotations versus denotations. 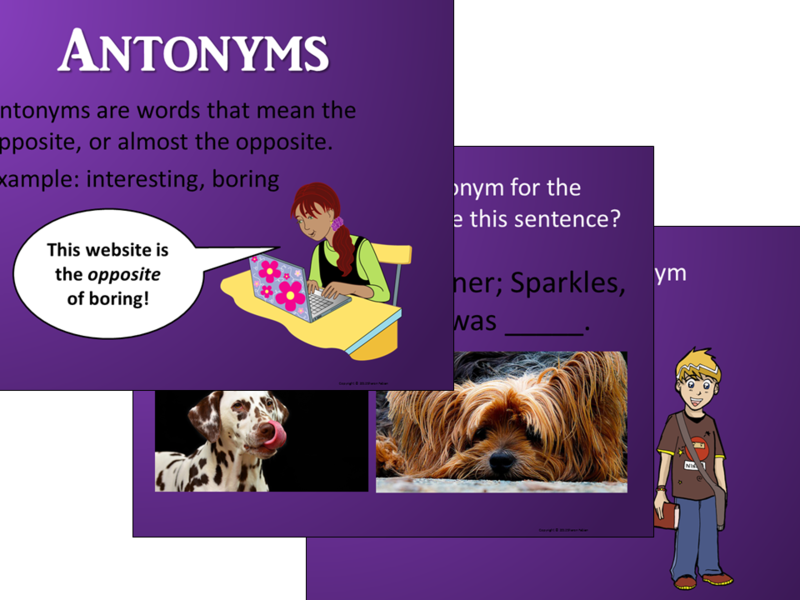 One way to demonstrate this with students is to have them replace a word in a passage with various synonyms. Some will make sense, some will change the meaning of the sentence, and some will just sound out of place. 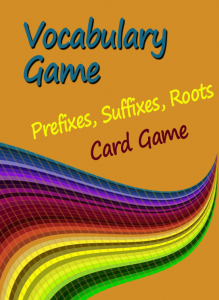 This can be a fun revising activity for kids and a good way to get them thinking about the variety of vocabulary words that are out there for their use. 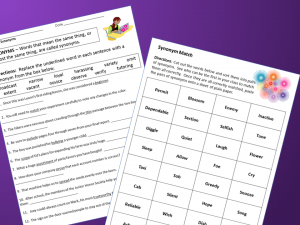 Another fun activity is ordering words according to the positivity or negativity of their connotations. 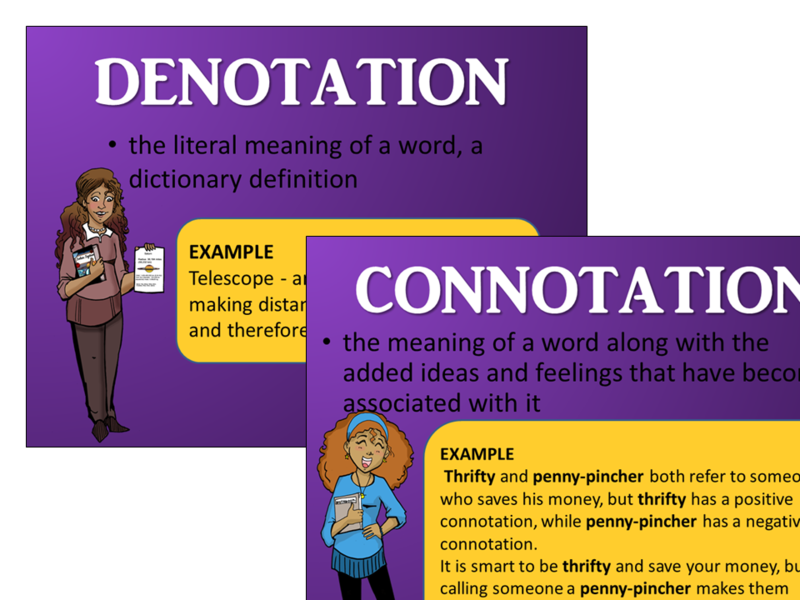 Some words obviously have a positive or negative connotation, but other words may have different connotations to different students. This is where the class discussions can start to get interesting. 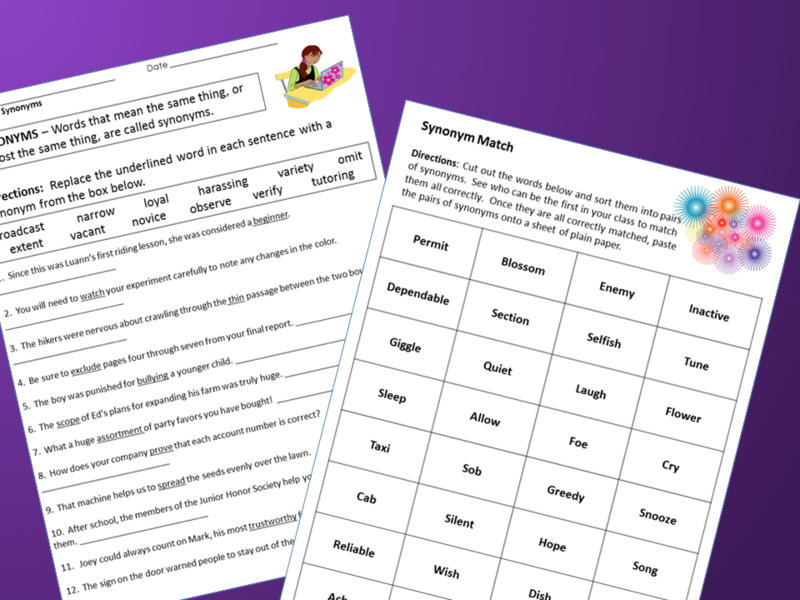 Dive in with a simple activity in which you give groups of students five cards with words that are near-synonyms, and have the students sort the words from most negative to most positive. 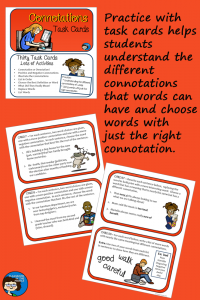 Then compare and discuss their answers. 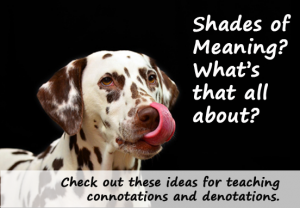 Recently, I’ve been reworking the vocabulary resources in my store, and I’ve just finished the ones about shades of meaning. 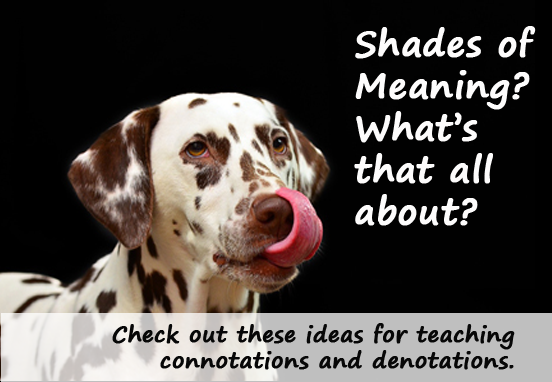 Check them out by clicking on the first image below, or check out all of my vocabulary resources here.